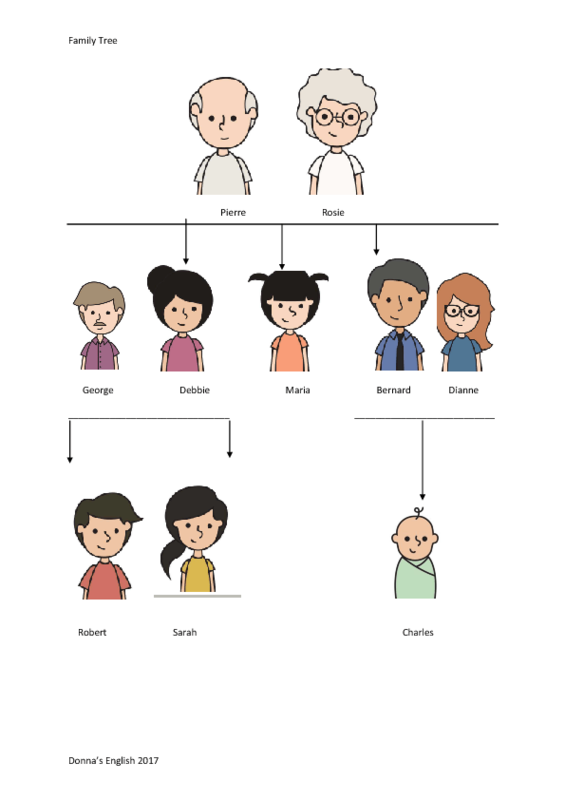 This is a simple family tree with pictures of grandmother, grandfather son and two daughters and their respective wives, husbands and children. I use it to present family vocabulary and possessive "s". 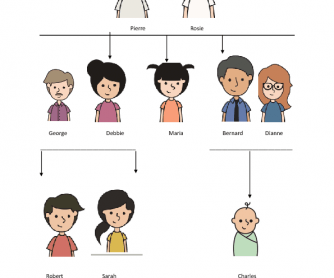 It includes grandfather, grandmother, father, mother, daughter, son, brother, sister, uncle, aunt, nephew, niece, and cousin.